what’s better than one toilet ? 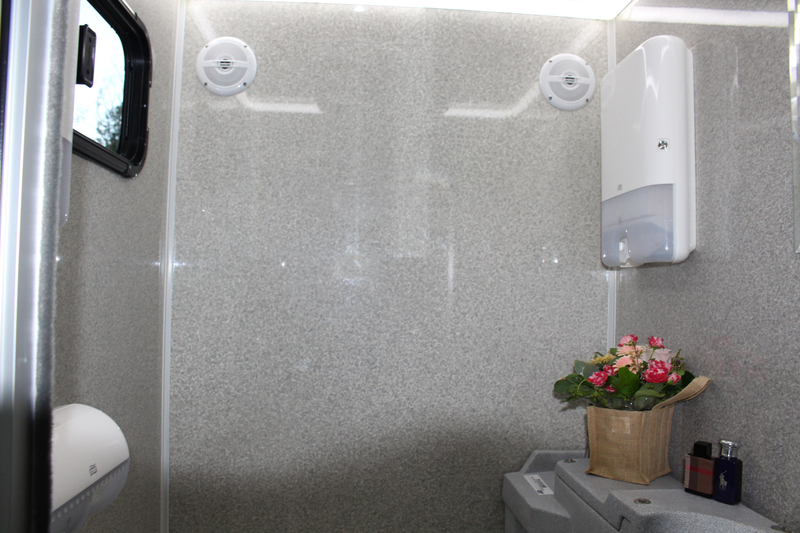 The Sterling Series features two separate, spacious toilet facilities and is built to cater for approximately 120 guests. 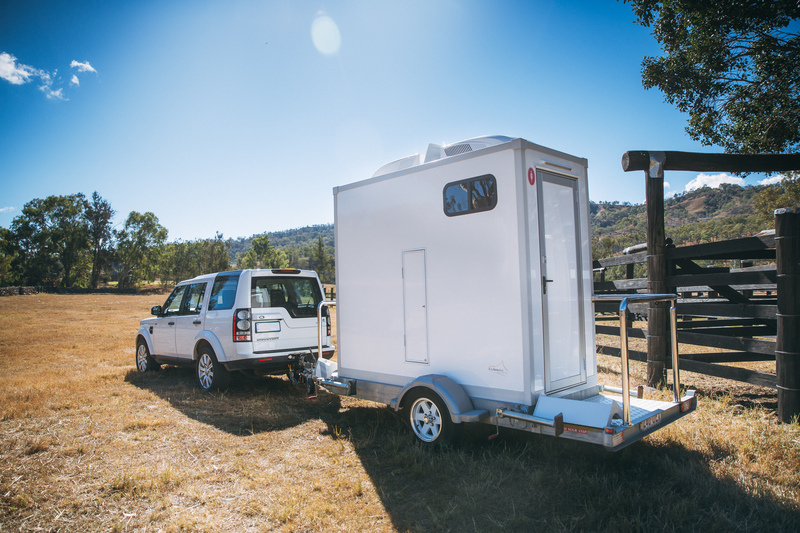 This unit is self-contained, meaning no water or sewer connection is required – Should you choose to operate the air-conditioning, just a 15 amp power supply is required. 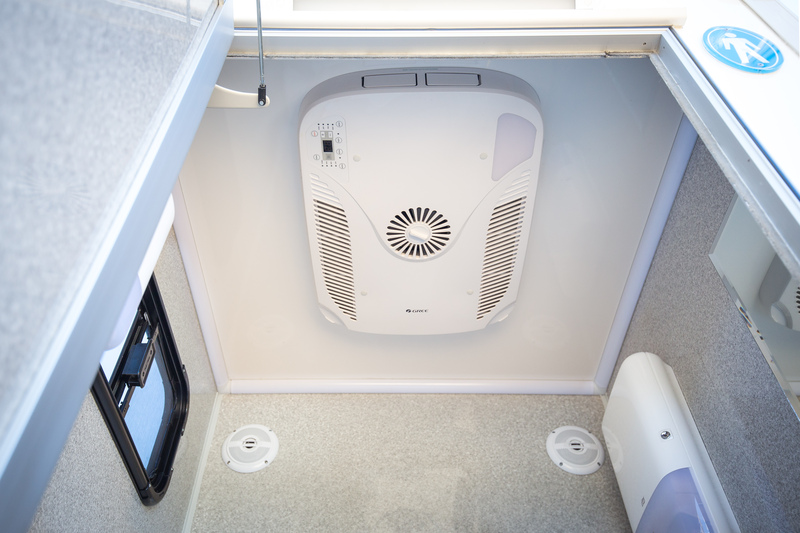 The Internal materials used in our Toilet trailers are of “ closed cell structure “ meaning they inhibit viral and bacterial growth giving you the perfect environment for peace of mind. 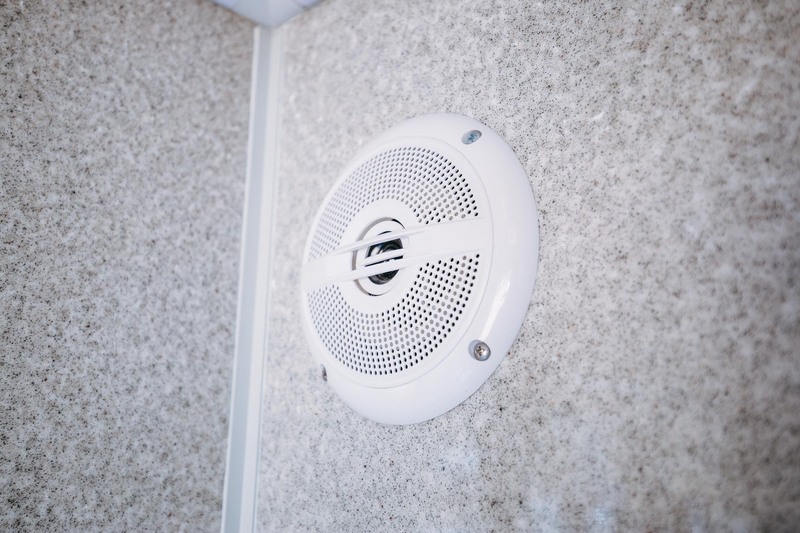 Our own cooling and heating solution will comfort your guests. Keeping them cool on a hot summers day and warm in the chilly July frost without having any disrupting cords or air conditioning ducts to ruin the decor or ambience of your event. With an inbuilt stereo system you can provide your own favourite music to play in the unit, or why not let us take care of it for you? We can tailor-make a playlist to suit your event so that the mood continues even during toilet breaks. Our flooring is durable, seamless and slip resistant to ensure safety and easy accessibility for everyone. 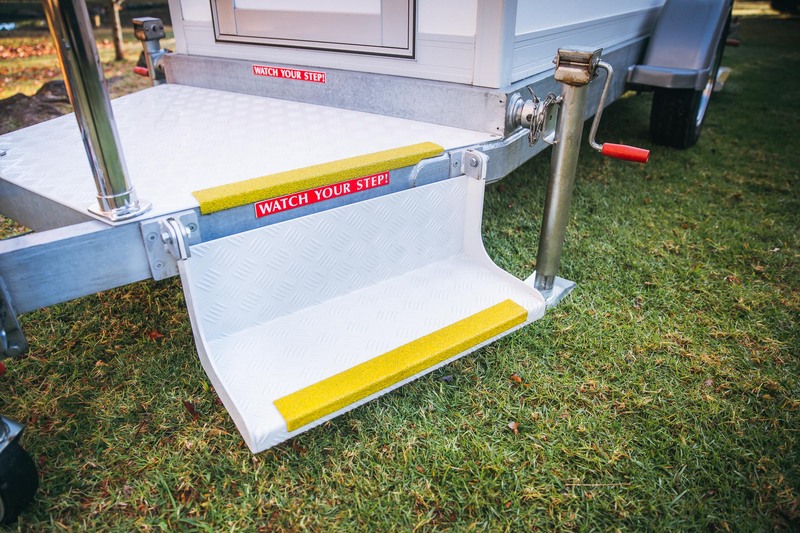 We have designed our steps much closer to the ground than any other trailer and have included a large and spacious access veranda for entry, making the unit easily accessible for those with mobility issues. Each and every component of the Sterling Trailer has been designed, developed and produced in-house to the most precise standards. The unit features speckled granite interiors, sensored lighting, and external LED lighting to illuminate entry. 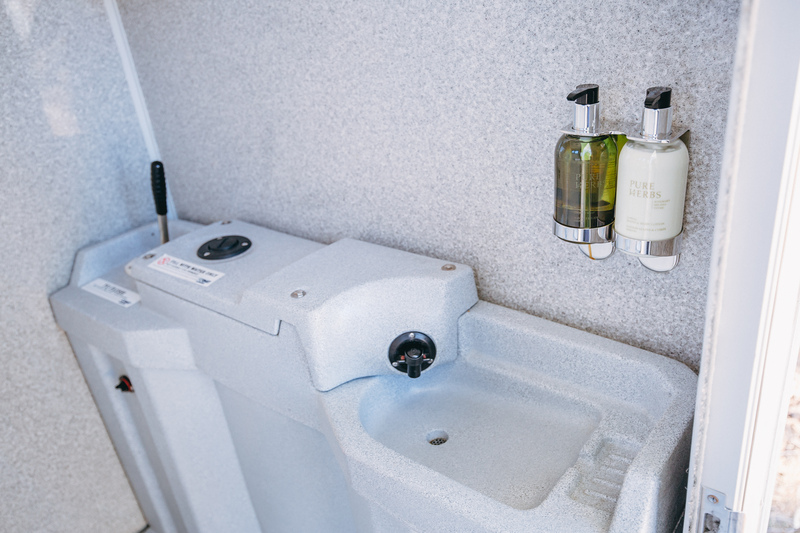 The Sterling Unit is operated by using a reliable pump flush and button press to operate the sink. We’ve steered clear of using foot flush due to its unreliability, domestic pumps like the foot flush are more likely to get jammed when external foot pressure is applied. You can be absolutely assured that no flooding or blockages will occur with the Sterling’s flush system. Our quoted prices are all inclusive and are customised individually to suit your event. We are an up front and honest company so you can be assured no hidden charges will surface. 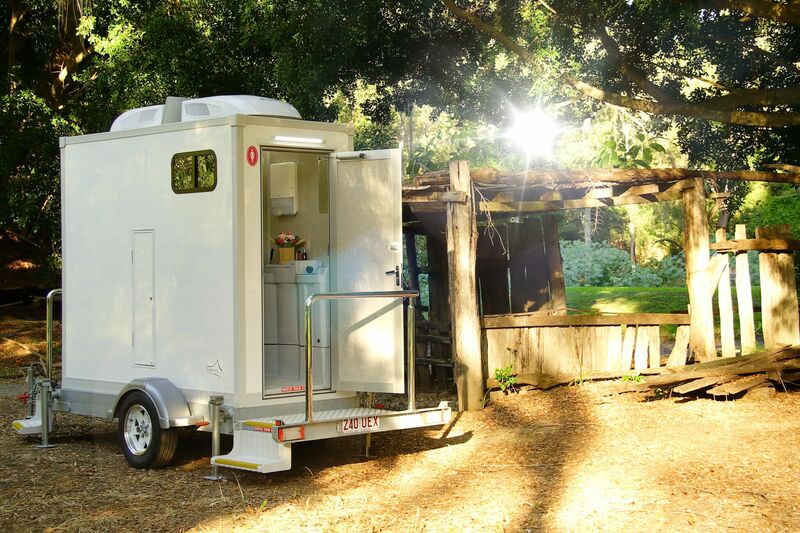 We will even conduct a free site inspection to assess the units suitability at your event.